few weeks ago the most recent issue of one of my office’s magazine subscriptions made it to the coffee table of our reception room. Rarely do I even notice the People Magazines my patients are flipping through before they come back, but there was something about this one that just didn’t sit right with me. I would walk through the lobby, head back to the procedure, and something would stick in my mind — as if someone had moved a piece of furniture just slightly askew, or maybe a light was out in the room somewhere. I couldn’t put my finger on it. Eventually I figured out the problem. 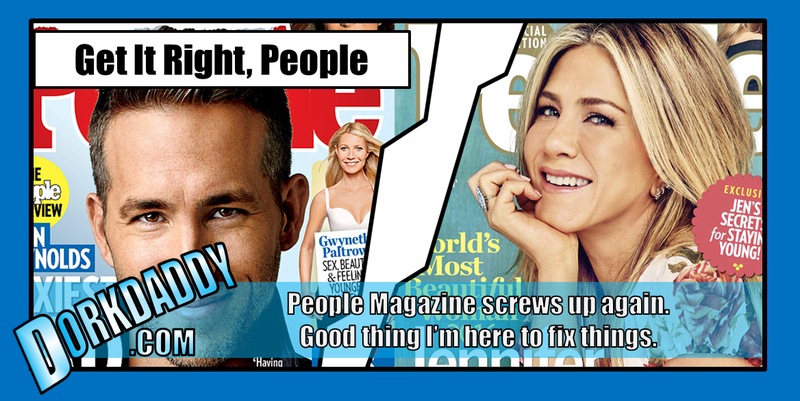 You might remember from a few years ago a grievous error People Magazine made on the cover of one of their issues. I wrote a very nice letter to their editorial staff explaining the error, even proposing an appropriate fix. 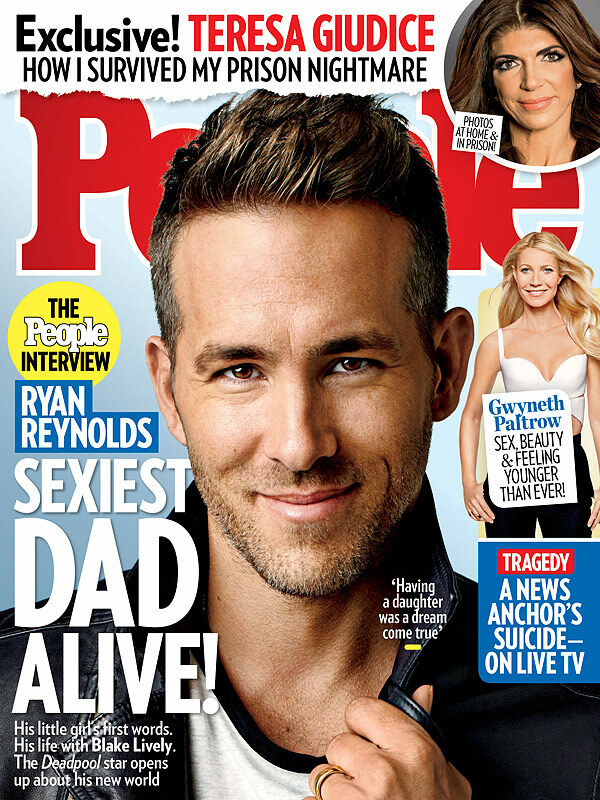 And now here we are, three years later and the editorial staff over at People Magazine has made the EXACT SAME MISTAKE! So once again DorkDaddy has to swoop in to the rescue and save the long-running publication from public humiliation. 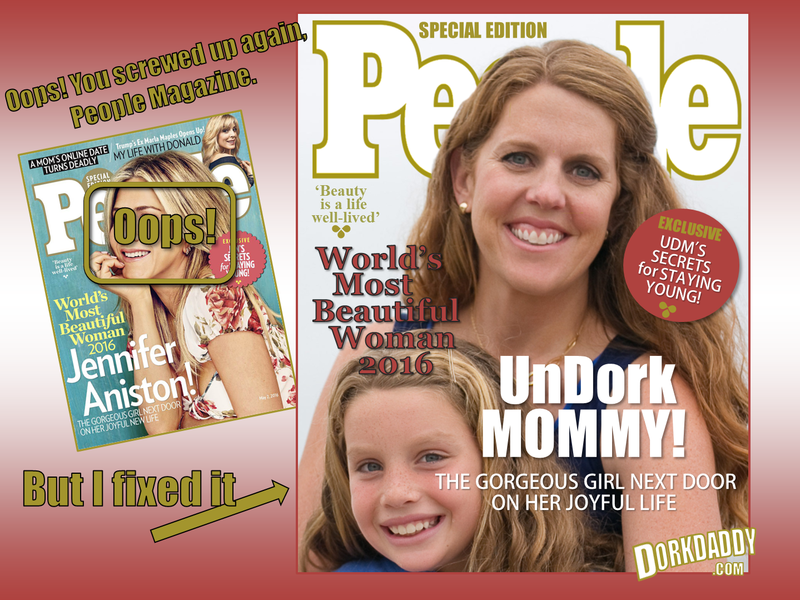 Below you can see the error and how I have re-engineered their cover to better reflect reality. This is the second time I have noticed the exact same mistake in your otherwise respectable periodical. I am happy to fix it for you… again… but this is the last time I’m going to be cordial about it. If it happens again I am going to have to take a much more aggressive stance. Consider yourselves warned. You mentioned how you’d like to improve your Photoshop skills. Here’s an image you can use for practice. I’m sure you can figure out something to do with it.